An overwhelming majority of kids absolutely ADORE pets. A large portion of those kids love nothing more than a cute, fluffy cat. Here at BestForTheKids, we cover the importance of pets in the life of kids and how pets help kids become compassionate human beings. It took us more than 3 weeks to come up with this list of carefully vetted cat blogs that had to go through several filters before being considered useful for parents who'd like to know about cats mainly because their kids love them. 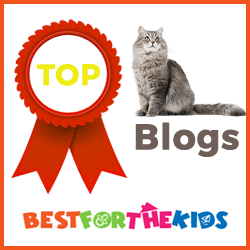 So, without further ado, here are 16 top cat blogs (in alphabetical order) run by their amazing cat-literate owners that you should check out as a parent. A Tonk’s Tale celebrates the domestic housecat in funny, offbeat, sometimes irreverent ways cat owners will immediately recognize and identify with. Author Lisa Richman finds feline interactions complex and fascinating – and is more than a little surprised at how often the antics of her three cats mirror the experiences we all face in life! The blog’s metrics are simple: if it makes you smile or brightens your day, it counts as a win. And if she can sneak in a little education and animal advocacy along the way, well, that wasn’t too painful, was it? The Conscious Cat is a very popular website that has bagged several awards in the cat blogging space. 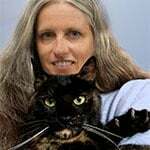 The author Ingrid King, who's a cat expert, has also authored books like Buckley’s Story and Purrs of Wisdom. Ingrid is also an experienced cat consultant. 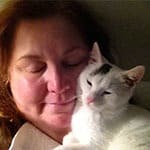 Her site, The Conscious Cat is a community of passionate cat lovers. The Conscious Cat's mission is educating cat parents worldwide to help them lead a happy life with their feline offsprings. Robin A.F. Olson, founder & president of Kitten Associates, used to enjoy her life as an art director, before becoming a mom to her 9 playful cats. 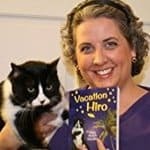 She has been writing award-winning stories about rescuing cats for over 10 years. She copes up with difficult cat-related issues with ease. Robin's blog is also known for her solid sense of humor that's most commonly seen in her April Fools' Day posts. Marjorie lives in New Zealand, where she spends her time caring for her beloved cats. She keeps her readers engaged by presenting reviews, how-to posts among others in a fun, humorous way. 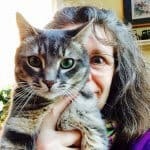 Her blog has a truly global audience, thanks to her unique take on cats' stuff, coupled with truly well-researched content. Dash Kitten is also involved in rescue work, as well as fund raisers and auctions for the betterment of cats. 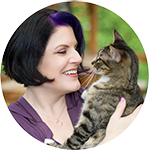 Dr. Marci Koski, a certified cat behavior consultant, writes about all things kitty-related for her website, FelineBehaviorSolutions.com. Marci's specialties include addressing behavior issues such as litterbox problems and cat aggression, but you can find a wealth of articles about bettering the life of your cat through enrichment, play, health, and safety. Your cat is a beloved member of your family - Marci is here to teach you all about how to meet their emotional, mental, and physical needs. Floppycats is a cat blog website dedicated to uniting Ragdoll cat lovers worldwide since 2008. 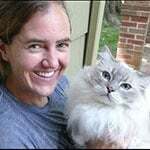 Author, Jenny Dean, started Floppycats due to the love for her childhood Ragdoll cat, Rags. Jenny wanted a place where she could connect with other Ragdoll cat owners. However, in the 9 years that Floppycats has been online, it has become much more than that – the site features product giveaways, cat product reviews, Ragdolls of the week or a Floppycat of the week (that is, if you are a follower who wants to feature their kitty and don’t have a Ragdoll cat), cat health articles, cat behavior explanations, tips and more. Floppycats has a large active community of “Floppycatters” across their website and their social media channels, who comment, share, post and more. Wally, Ernie and Zoey - these 3 island cats are the central point of discussions in Sue Doute's blog. Sue literally lives in an island in Grosse Ile, Michigan with her 3 cats, hence justifying the name. 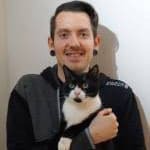 ​KatzenWorld is managed by several blogger buddies including Marc, Iain, Laura and others who got united because of their common passion about cats. If you are looking for a one-stop source that covers all things CATS Katzenworld is your place. They are a blog solely dedicated to cat owners and cat lovers alike and provide their readers with a variety of cat themed posts. Whether it's cute cat stories or more serious articles on cat health and and even scientific research, they cover almost all bases for their readers. 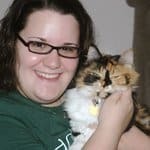 Meg usually blogs about her own family of rescue cats. She documents their real-life adventures in a fun and engaging way. Occasionally, she also covers the chapter books she has written about them as alien secret agents. Sometimes the dog gets in on the fun too. Guest blogs also feature issues for book lovers and pet owners. They're quite insightful as well, so there's a lot to learn from her blog. Leah adopted two brothers, Rascal and Rocco, when they were just 3 years old. She, along with her husband, originally wanted to adopt a kitten, but came back home with these insanely cute, tall, furry siblings. These brothers never fail to present themselves in various amusing situations. Leah's blog is guaranteed to never bore you with fun-to-read descriptions of many different adventures in the everyday lives of Rascal and Rocco. 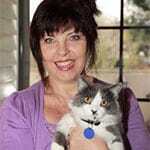 Sandy Robins is an award-winning multi media pet lifestyle expert, columnist and pet industry personality. 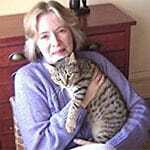 She is the author of four cat books including The Original Cat Bible and the glossy For The Love Of Cats. She is also the recipient of the award titled "Excellence in Journalism and Outstanding Contribution to the Pet Industry", a lifetime achievement award given by the American Pet Products Association and an honoree of the Pet Age Women of Influence in the Pet Industry Award. Sandy’s work documents the wonderful relationship that we have with our pets highlighting trends and innovative ideas that enhance the human-animal bond and can be seen on a broad platform of websites and magazines. 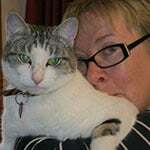 Sandpiper Cat blog came into existence when Rachel fostered Sandpiper back in 2011, and she was pregnant at the time. Unfortunately for Rachel and her pet-loving family, Sandpiper miscarried! On Sandpiper Cat, Rachel blogs about a heavily cat-influenced lifestyle of hers, and quite frequently hosts numerous giveaways. She also does various cat product reviews from time to time. Maggie's blog features cats who are waiting for homes at the PAWS animal shelter in Norwalk CT. Her own cats, Mickey Mouser and Rufus the Red, also make guest appearances. According to her, it's important for children to understand that pets are family members, dependent on humans for love and care. As a children’s book illustrator (www.maggieswanson.com), she's very passionate about children’s books, art, and cats. 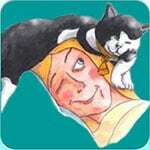 Cats are predictably unpredictable, according to the author (Janet Buickerood Blue) of The Cat on My Head blog. Living with a total of 18 cats during the last 30+ years, she has witnessed this first-hand every day. 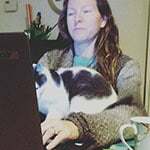 That’s why The Cat on My Head blog (named for cat, Misty May, who actually sleeps on the author’s head) focuses on the antics of the current eight cats as well as their ten predecessors. Blog posts also include reviews of cat products and books. The Cat on My Head features poetry and posts covering health issues in cats as well. The award-winning daily blog The Creative Cat features stories on feline and pet health, welfare, adoption and rescue plus humor, photography and fine art. It's created by the human, Bernadette E. Kazmarski, under the supervision of her family of five rescue and numerous foster cats. 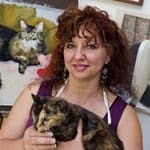 Bernadette works at home as a self-employed commercial artist, writer, and illustrator, and owes her career as a fine artist and photographer to the inspiration of her evolving family of felines. She has been rescuing and fostering cats for 30 years and takes special care with frightened and feral kittens and fragile seniors. You can know about her experiences on TheCreativeCat. 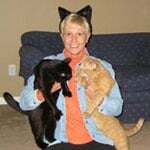 Pamela Merritt ran her own amateur cat rescue for almost two decades. Now she uses her knowledge of rescue to help people get the most from their cats. 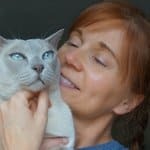 The Way of Cats blog outlines training techniques for harmonious living, keys to understanding the ways cats think, and affection moves to get maximum love from our cat. Thanks a lot for reading about these amazingly knowledgeable cat bloggers​. If you're curious about cats and the role they play in your kid's development, you can't give any of these mentioned blogs a miss. If you feel this round-up was helpful, please help it spread by sharing it in your social media. If you want to suggest us to check out a blog we haven't listed here, feel free to leave a comment down below. I’m an existing reader of both Pamela and Leah’s blogs. I’ll have to check out the others. My 4 y/o daughter loves nothing more than her beloved kittens. I hugged our cat, Kitty, instantly after seeing all these DAMN cute cats. Kudos to you for finding such awesome cat-equipped pictures of these bloggers. Looks like a promising list, Sandra. I’ll start surfing through them later today with my daughter. We were delighted to include your blog, Marc. Keep up the great work! Thank you for featuring us! Although we are far away from the USA we treasure our American visitors who provide us with some of the most engaged comment a blog can hope for. I am in such good company, each of these blogs will allow parents and their families to discover a lot about the amazing and wonderful world of cats. Your awesome content is impossible to limit by boundaries, Marjorie. You’re doing a great job and we really appreciate you for that.